I have three children; one graduated from FSU, one is a junior at FSU and one is a freshman at UNF. Each one has had and will have, a different experience finding an internship. My oldest son called a family friend and was hired almost immediately for the summer vacation of his sophomore and junior year. Easy as pie for him – not the norm for most. In the case of my younger son, a junior and a Finance Major at FSU, the search was pretty typical, resumes emailed, phone calls and follow up. For my daughter, a freshman at UNF, her major is Early Education so her search will be different as well. There are quite a few avenues to take when looking for an internship. My first recommendation would be to check with the college. Many times professors and other professionals within the college will hear firsthand from prospective employers about new internships available. Also, contact UNF’s Career Center. There will be career fairs typically once a semester when different companies will come to UNF looking for students. Many of UNF’s majors offer individual internship fairs, typically in the spring. Different websites can be a great source of value when looking for internships. Linkedin, Indeed, Glassdoor, Internmatch.com are just a few of the excellent resources available. Some students are creating their own videos or websites to show off all they have done. It can be better than a long portfolio that may exceed the amount of space for uploaded information. These are generally used for more majors like graphic design or advertising, and not finance. Another great way to find out about internships is through networking. My son has gone to many social and professional events that housed members from different companies that he was interested in interning with. He was able to make connections, gather business cards and follow up throughout the year. 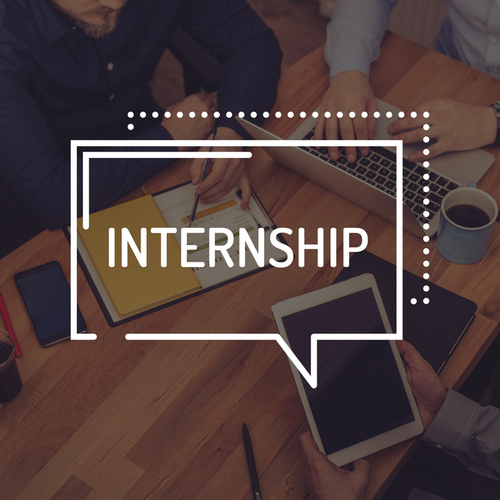 Starting the process of finding an internship typically begins the summer before students Junior year so making these connections should take place during their sophomore year. If your student is interested in a particular company, they should be checking their employment page and trying to make connections either via Linkedin or truly any way that they can. My younger son just got hired for an internship that he heard about through a sorority sister of mine who had posted the job on Facebook, so you never know how and when a mutual connection can come in handy. Searching for an internship, like trying to find a job is not easy and takes time, patience and a positive attitude; however, receiving an offer letter from your dream job is the best payoff!